In 1444 the Kingdom of Georgia is in a dire situation. The kingdom still stands after wars against the Timurids and the Qara Qoyunlu, but it is fatigued and torn by internal conflicts. Hoping to lessen the disruptive powers of regional nobles, Alexander I of Georgia abdicated in 1442, and made his sons co-rulers over the constituent parts of the kingdom. This way he secured the Bagrationi dynasty's standing, but in practice it did not take long for this to accelerate the decline of the kingdom. As the Ottomans crush the crusaders of Varna, Georgia is in all but name split between the powerful Bagrationi sons in Imereti and Tbilisi, and the autonomous Atabegs of Samtskhe. Georgia is a country located in the Caucasus region. It shares the Georgian culture and ideas with its neighbors to the West; Imereti and Samtskhe. Georgia starts in a difficult, but manageable position. The nation is surrounded by many weaker foes, but must act quickly to preserve its independence, or stronger neighbors will annex the country with ease. Luckily it has many weak neighbors of various religions, which enables rapid early expansion without having to worry about coalitions. The Ottomans desire Georgian land, and the primary challenge of a Georgia game is to deter and eventually overcome the looming threat from the West. As an Orthodox nation surrounded by Sunni and Shia, diplomacy and integration of new lands can be tough, but makes it ideal for a player looking for a challenging land campaign or a candidate for waging Holy War in all directions. This guide aims to help the player get a solid start into the mid game. There is an achievement available for Georgia, Georgia On My Mind, which will be briefly mentioned in the end. Georgia does not begin with a particularly strong economy or manpower pool, and it will likely remain so for several decades. It generally cannot afford the luxury of drilling its armies, or even maintaining level 1 advisors. However, several early wars will be necessary to ensure Georgia’s survival, and what money Georgia does have should be spent to make these go quick and pain free. If the player cannot quickly annihilate the enemy army and occupy land to prevent recruitment of new enemy regiments, the cost of replacing losses and hiring mercenaries will quickly tip Georgia into debt that it will struggle to recover from. Georgia may gain a Personal Union over Imereti if their ruler dies, but this is unreliable and simply taking the land is quick and cheap. Georgia has cores on all of Imereti and Samtskhe, and should recover them immediately, then use claims on Shirvan and all neighboring orthodox countries. Don't take any breaks between the wars, some early debt can be repaid by cash from defeated foes and from outgrowing the interest, the idea is to grow to several times your starting size within 15 years. After this first push, each game is different and the player should be opportunistic. Most nearby land is Muslim or Coptic and thus hard to convert, so Georgia must take more Orthodox land quickly and consider taking a vassal to handle some of the heathen land, balancing Religious unity and Liberty desire. Religious or Humanist ideas are critical here, and should be taken as first or second idea group. Speaking from experience of many starts with this nation, Georgia is never rich and should always be optimizing its economy. If you ever feel wealthy it is likely to be short-lived, and you should save the money as a buffer instead of investing in buildings or drilling armies. One advisor can be afforded periodically, two is stretching it but can be done if you really need their bonuses. Before unpausing the game, there are several steps that should be taken. Maximize military strength to overpower your weak neighbors. Georgia’s beginning heir has 3 military power, so he may provide a good general. He is however a terrible candidate for ruler, and should be disinherited at some point. Granting a generalship to the Nobles estate can also provide a worthy leader. If neither one is good, try your king or recruiting a normal general. What you are looking for is shock and siege pips, which are the ones that will win battles and wars quicker and thus save you time and money. A total of three or more pips in those two categories combined is good, fire and maneuver can mostly be ignored at this point. Build up to force limit immediately. Diplomacy. Rival Imereti and Shirvan. Wait for AI alliances to form before setting the third, choosing whichever nation you think you will attack first or whichever can help you secure and alliance with one of it's rivals. Check for possible allies, frequent candidates in patch 1.23 are Qara Qoyunlu and Gazikumukh, but there may be others instead. Don't be picky at this point, they are just for deterrence, and can be dropped at will later. Don't ally any nearby Orthodox nation or Shirvan, since you will want their land. Surplus diplomats go to fabricating on Shirvan, Circassia, Trebizond, and improving relations with Ottomans, Genoa and any current or potential ally. Min-maxing your nation. Spend prestige to exploit all the estates, mothball fort and reduce maintenance. In earlier patches Georgia had a navy that could be sold, that is no longer possible, but these are the kind of things the player needs to do to keep the economy afloat and keep up in tech. From before game start until at least 1500, the player should calculate and scrounge for every available ducat and monarch point, because your surplus is very small and therefore small increases can have great impact. After unpausing, just follow up with diplomacy described above and prepare for the first war. Having tried several times, I can say that it is best to go for Imereti first, even though Samtskhe is smaller and even if Imereti gets allies. The reason is that he has no forts, while Samtskhe has a mountain fort on your border that makes a war with him require going over force limit and fighting him many times in unfavourable terrain, leading to high debt and drained manpower. Go for Imereti as soon as your force limit is full and morale up, chase down and stackwipe his army and then any ally. Then carpet siege all provinces, including enemy allies, before sieging down capital. He often allies Trebizond or Circassia, in which case you should rival them and get a separate peace with them. Immediately after Imereti is defeated, build to new force limit and go in against Samtskhe, stackwipe and siege down. Aq Qoyunlu sometimes attacks him at this point, so don't give them any time and space to get one of the sieges. Immediately after Samtskhe, you should claims ready to go after Trebizond, Circassia and Shirvan in turn. If you have Mandate of Heaven Expansion, consider leaving one of them with a province so you can humiliate them for the Age Objective, there are several really good age bonuses for Georgia in Age of Exploration. You will have 4 forts at this point, far too many for the Georgian economy. Either keep just the fort in Samtskhe, or both your capital and Trebizond. I recommend keeping just the one in Samtskhe, as it is ideally located to by itself prevent movement through your land. Your heir has terribly low administrative and diplomatic skill, so any time with small positive prestige and no immediately crushing need for him as general is a good time to disinherit him and cross fingers for a new heir that is capable of tying his own shoes. Often the only viable starting quest is to improve relations with Trebizond. This can often be managed even if he allies Imereti by allying Trebizond right before attacking Imeretin and thus breaking the alliance. In either case, don't let the wish for that or any other mission hamper your expansion. Having taken Trebizond, you will border the Ottomans and they will start wanting your provinces. Not taking Trebizond just delays the inevitable and you need that Orthodox land, so I recommend taking it before they do. In either case, now begins the "Ottoman deterrence" stage of the game. Grab as many allies as you can, keep troop numbers as high as you can afford, and keep improving relations with him while praying that they eat someone else first. At this point Georgia will have expanded considerably, though it will still be weak economically due to the low development of its provinces, the stresses of several wars, and high autonomy in recently conquered provinces. This can be a good period to allow manpower to recover and autonomy to fall. Georgia will from this point need to be something of an opportunist, as chances may arise on several different fronts to gain territory. Georgia’s top priority at this point is to secure an alliance with Muscovy. As an Orthodox power, Muscovy is inclined to be friendly toward Georgia and its help can be invaluable in future expansion, as well as deterring enemies from declaring war on Georgia. A secondary goal is to ensure a path of military access for Russian troops to come to your aid, either by befriending one of the hordes or by cooperating with Muscovy in carving up the Great Horde. Another good, but less frequent alliance option is Mamluks, as well as Karaman if they are also allied with Mamluks. Qara Qoyunlu can also help deterring Ottomans, but are also an expansion opportunity for Georgia if they run into bad wars and internal problems. Whatever you do, don't be too greedy with expansion, as the Ottomans will mercilessly punish you for any temporary reduction in alliance web and army size. Aq Qoyunlu are not an ideal target, as the Ottomans will want your provinces even more if you take this land, improving their cost-benefit analysis of attacking you. They can be taken if there is nothing else, but should ideally wait. They also start with a really strong general, so the battle will be easier later. If Qara Qoyunlu begins facing uprisings, one likely place for this to happen is in Armenia, just across Georgia’s southern border. Qara Qoyunlu may struggle to put down these rebellions as all Armenian provinces are mountainous. Thus the player should be ready to take advantage of the situation should Armenia manage to gain its independence to immediately seize Armenia for Georgia. During Armenian rebellions, rebels will cross the border into Georgia, consider not attacking the rebels and wait for the rebels to enforce their demands for an independent Armenia. Expansion to the north will depend on the fortunes of the hordes in that area. Typically either Crimea or the Golden Horde (typically the Golden Horde) will face enough pressure early that it will crumble, which presents an opportunity for Georgia to seize land. Of particular interest is the province of Terek, which is Dagestani and will therefore be an accepted culture in Georgia’s vassal. While there are good prospects for expansion here, the player must be wary of rebellions, as unrest in provinces that are Sunni and of non-accepted cultures will be high for some time. Genoa is protected by the Holy Roman Emperor and tends to develop institutions quickly, so the player should in most cases keep them friendly so they can spread institutions to your coasts. After the Shadow Kingdom event fires, they may be vulnerable to Ottoman conquest if they don't have other strong allies, in which case you should conquer their Crimean holdings first and instead befriend Lithuania, Mazovia or any other nation on the Black Sea coast. From the coast of Shirvan, Georgia may fabricate on any province on the Caspian Sea coast, which is populated by several small nations and a complex diplomatic web that the player can exploit. Look for opportunities, and don't be afraid of border gore. The overall aim is to avoid coalitions and deterring the Ottomans while steadily building the strength to eventually beat them. Georgia faces some difficult choices with its first idea groups. Using a vassal to absorb at least some of the Muslim land that Georgia conquers can be an effective way to reduce the need to take Religious ideas immediately. In the short term, the player may be able to convert some provinces with an Inquisitor (which can be recruited from the Clergy estate), high stability, and use of the missionary Edict (From DLC Mandate of Heaven). However, as Georgia continues to expand it will eventually have to properly deal with the issue of Religion, and that means taking Religious ideas or Humanist ideas. 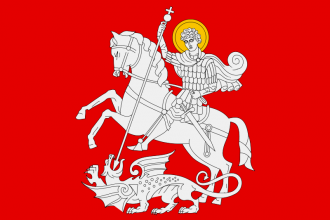 Often Humanist is the better choice, but I will argue that for Georgia it is a waste of your inherent Tolerance of True Faith from both Orthodox religion and Georgian ideas, and a waste of what might be the best position in the game for the powerful Deus Vult Casus Belli. Religious ideas for Georgia give you high conversion speed, practical immunity to rebels in True Faith provinces, and great savings in precious administrative and diplomatic costs from Deus Vult CB and 25% reduction in culture conversion cost and stability increase cost, all of which are extremely valuable for this nation. Humanist can reduce the need for conversion and save monarch points from ideas, but does not give the same level of unrest reduction from tolerance as Religious does, and does not give the powerful Deus Vult CB. I strongly recommend taking Religious as first or second idea group, and rushing to get the +3% Missionary strength. For second administrative idea group Economic ideas is recommended for a good overall improvement yo your economy. Administrative ideas will save less admin points from Core Creation when taken so late in the game, and its other bonuses are rather useless because the -25% mercenary costs are in practice -10% cost and the rest is not too impressive either. The +5 states is good, but Georgia will have many poor areas that aren't worth that much to make into states. Innovative is ok, but considered by the community to be inferior to economic. It does have a policy available of +20% infantry Combat ability, which stacks well with Georgian ambition of -20% infantry cost, so it can potentially be an option for certain infantry focused military builds. Economic has its own military policies, though. There are no diplomatic ideas that immediately provide a strong advantage to Georgia, though in the medium- to long-term Trade ideas can be of some use. Thus the player should have military ideas as second priority after administrative ones, and taken first if you don't think it realistic to afford adminsitrative points for Religious ideas so soon. Due to poor economy, the force limit increase from Offensive will likely go unused, making it less than normally useful. Infantry focused National ideas lead away from aristocratic, and we are left with Defensive, Quality and Quantity as the likely three best options. The cost reductions in Quantity ideas stack very well with the reduced infantry cost of Georgian ideas. From an economic perspective, Quantity ideas in practice reduces recruitment cost by 10% and maintenance cost of an army by 19% (they stack multipicatively: 0,9*0,9=0,81 ~ 19% reduction), or from a military perspective it enables 23% more troops for the same cost (math is 1/(1-0,19)=1,23). Georgian infantry with Quantity ideas cost 30% less to recruit and 37% less to maintain, translating to an impressive 59% more infantry for the same price. This covers the majority of the cost from the potentially powerful, but expensive, 50% force limit increase of Quantity ideas, and together with highly useful manpower and potential for 10% morale policy with Religious ideas make Quantity ideas a good choice for Georgia. Both Quality and Defensive ideas are really good for Georgia as well, as they are for all nations. Quality has 5% morale and 10% siege ability policy with Religious ideas and 5% discipline policy with Economic ideas, so if you can't choose between the two then this can be considered a slight advantage. Georgia begins in an uncomfortable position regarding Trade nodes. The capital and western provinces are part of the Crimea node, while the province of Kakheti is part of the Persia node. Georgia’s poor development and lack of any Important Center of Trade means that trade will not provide a significant source of income in the early game. In addition, expansion to the east and the southeast yields provinces in the Persia node, which feeds into the Aleppo node and cannot feed into the Crimea node. Thus, from a trade point of view, expansion into this area is not particularly lucrative, though it can yield two of the three Important Centers of Trade in the Persia node (Shirvan and Tabriz) for Georgia or its vassal. However, should the player elect to collect trade income in Persia, this will mean that Georgia will gain no benefits from traders upstream from the Crimea node, which incidentally nullifies some of the benefits of taking Trade ideas (mostly the extra Merchants). These complications from the Persia node may be one extra reason to not integrate Georgia’s vassal early. As a result, the player can consider forcing the vassal to convert to Orthodoxy in order to convert at least some of the provinces before annexation. However, Georgia will likely need to help its vassal suppress rebels if it elects to follow this path. Ultimately, in an ideal world, the best trade node to collect in would be Constantinople because this node can unite trade coming from both Crimea and Persia, but Constantinople is out of reach at the beginning of the game. However, the Crimea node is an achievable objective, particularly with Muscovite/Russian help. The player will need to pay attention to Genoa’s alliances and to strike when its allies are least likely to join a war. This can eventually net the player both the Azov and Caffa Important Centers of Trade, leading to a respectable increase in trade income. The Astrakhan node and the Important Center of Trade in the province of the same name can also provide an attractive target for Georgian expansion, but both this and expansion into the Crimea area can arouse the ire of Georgia’s powerful patron to the north. While control of both of these nodes will be a considerable asset, the danger of antagonizing Muscovy/Russia is certainly worth taking into consideration. As alluded to above, the most desirable expansion route for Georgia following its initial acquisitions is probably to the northwest to secure the Crimea trade node. This may bring cause some border friction with Lithuania and/or Poland, but as these nations are typically rivals of Muscovy/Russia, the player should be able to count on having a strong ally in the event of a war. A more likely scenario is that Georgia will need to come to Muscovy/Russia’s aid in a war with Poland and/or Lithuania. After the demise of Crimea and the Golden Horde, the player’s expansion options to the north and northeast dwindle rapidly as much of this land is typically swallowed up by an expanding Muscovy/Russia. The southwest is similar, except that the danger comes from the Ottomans. The south and southeast may provide some additional avenues for expansion, particularly if Qara Qoyunlu or the Timurids face difficulties. Expansion into Persian nations like Ajam, Fars, and the Timurids themselves will typically be the easiest avenue for long term expansion should no power manage to emerge and form Persia. This may lead to some opportunities to expand in the Basra or Persia trade nodes, although a collapsing Timurids may mean the player will have to reckon with Persia instead. At least in terms of trade nodes, the ultimate goal in a Georgia game would seem to be control of Constantinople, as this will allow Georgia to finally collect trade income from its provinces spread across a somewhat unwieldy configuration of trade nodes. However, this will require significant Russian help, a reasonably powerful Georgian military, and bad luck on the part of the Ottomans, either by way of internal strife or losses in wars in Southeastern Europe to Hungary, Austria, Lithuania, Poland, or Venice. Georgia's newly acquired coastline may also provide enough shipbuilding capability to be able to block the Ottomans' troops from crossing from Europe into Asia or vice versa. It is not necessary to play as or reform Georgia for the achievement Georgia on my mind. The easiest route is to play as the Ottomans, conquer Georgia, and then beat up the Europeans who own the required provinces in North America and the South Atlantic. However, it may well be possible for an Ottoman colonizer to avoid war with Castile, Portugal, France, or England if the Europeans can be beaten at their own game. The island of South Georgia is very often left until late, unlike the nearby Falklands, and the North American Georgia tends to be passed over in favor of Florida or the coastal trade nodes, though if a colony emerges in the Carolinas then war may well be necessary. Unless one of the Iberian powers is weak, the easiest way for the Ottomans is to ally Tunis and flag Moroccan coastal provinces as desired in order to get colonial range. Alternatively, a player who commands one of the aforementioned colonial powers may first colonize the required provinces and then attack the Ottomans in the late-game for the required Caucasus provinces.